Nepal Government Celebrate National Condom day in Every 1st Saturday after Dashain/Kojagarat Purnima, 21st National condom day was observed nationally with the slogan ''UNIVERSAL ACCESS TO CONDOM FOR DUAL PROTECTION'' the major objective of this day is to raise awareness and promotes the use of condom for dual Protection; Prevent HIV and sexually transmitted infections as well as unwanted pregnancies. The WHO Model Lists of Essential Medicines has been updated every two years since 1977. The current versions are the 19th WHO Essential Medicines List. WHO’s Global tuberculosis report 2015 was released on 28 Oct 2015 in Washington. Tuberculosis mortality nearly halved since 1990 But TB ranks alongside HIV as a leading cause of death worldwide.The fight against tuberculosis is paying off, with this year’s death rate nearly half of what it was in 1990. Nevertheless, 1.5 million people died from TB in 2014. Most of these deaths could have been prevented. UN Day marks the anniversary of the entry into force in 1945 of the UN Charter. With the ratification of this founding document by the majority of its signatories, including the five permanent members of the Security Council, the United Nations officially came into being. 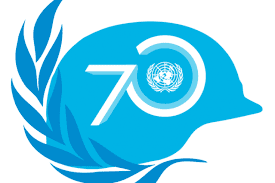 24 October has been celebrated as United Nations Day.since 1948. World Wide Event: The United Nations announced today that around 200 iconic monuments, buildings, museums, bridges and other landmarks in nearly 60 countries around the world will be lit up blue – the official colour of the Organization – as part of a global campaign to commemorate its 70th anniversary. Secretary-General's message on UN Day National flags are a mark of pride and patriotism in every country around the world. But there is only one flag that belongs to all of us. That blue flag of the United Nations was a banner of hope for me growing up in wartime Korea. B.P. Koirala Institute of Health Sciences is a leading Health Sciences University of Nepal. It is known around the globe by virtue of its innovative curricula. Every year BPKIHS gets substantial number of candidates to enroll in its academic programs. Its educational philosophy was conceptualized by eminent medical educationists from Nepal, India & various international communities including WHO. BPKIHS was established on January 18, 1993 and subsequently upgraded to an autonomous Health Sciences University on October 28, 1998 with a mandate to work towards developing socially responsible and competent health workforce, providing health care and engaging in health research. The School of Public Health was established in 2005 and it is running a twoyear MPH program.